Close your eyes and imagine you are on a game show called “The Time Of Your Life”. The premise is you have certain chores, activities, events and accomplishments to choose from as sand trickles down through a giant hour-glass to the left of the stage. As you pick up the numerous cards labeled with life events and run to place them in the designated slots…..the sand escapes faster by the second. 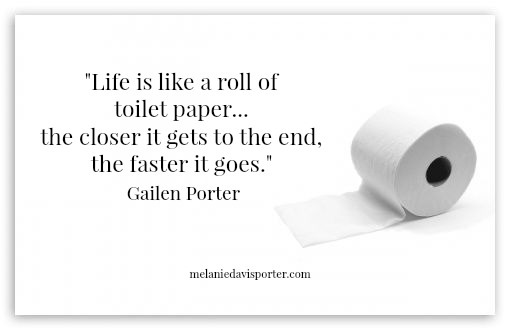 With each trip across stage…you have to choose which life event to pick up because you can only take 2 at a time. As the sand escapes grain by grain…you barely get your last two cards placed. Your breathless as the game show host takes inventory of your life. Your eyes dart back to the tower holding all those cards you didn’t get to. That trip you wanted to take….. didn’t make the cut. The graduations of your grandchildren….didn’t make the cut. That degree or dream that seemed elusive…..didn’t make the cut either… all because you chose something else in its place. 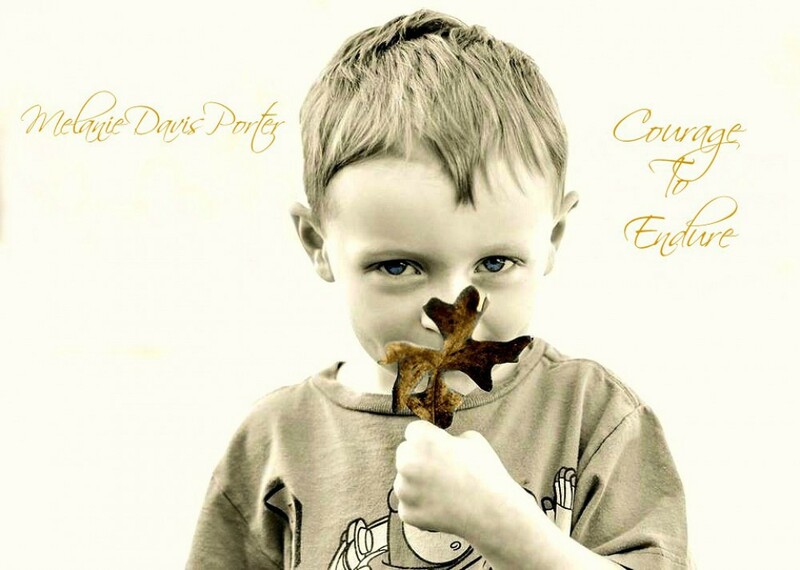 Reality sets in….You ran out of time. A deep sense of sadness captures your emotions. There are things left….undone. Dreams unmet…you feel as though your life was not truly satisfied. You live life with a sense of urgency. There may be a little Forrest Gump echoing in this sentiment but its truth. The Hebrew meaning of “teach” is….to perceive, to discern, or to be aware of. Living with a sense of urgency means you are wise enough to perceive….your time here on earth is limited, so make healthy and wise choices. Living with urgency means you discern that GOD has a specific calling for you to fulfill. Living with a sense of urgency means you are setting and reaching goals. Living with urgency means you are praying fervently just because you can and should. So what are you putting off? What or who are you taking for granted? What is that deep desire that you keep tucking away under your heart? What is that “thing” God is telling you to be brave about? Urgency is a must in a Christian’s life. 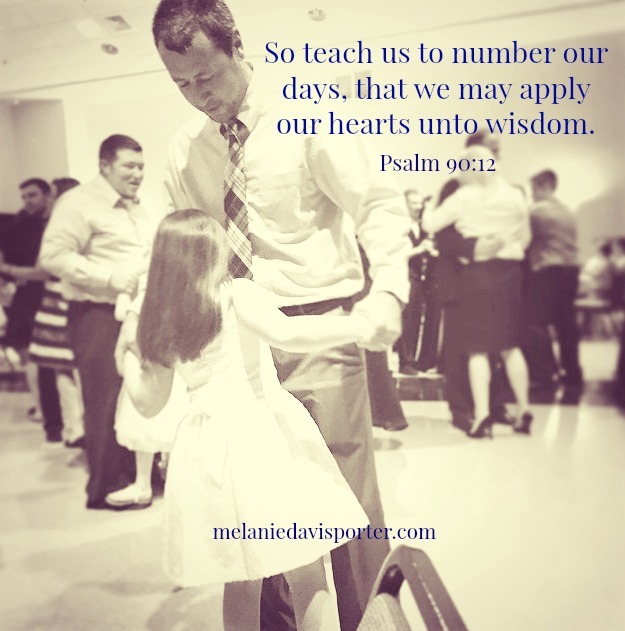 We have but just a small window of time….what we do with that time matters greatly in regards to eternity. What you do with your time will determine a life fulfilled or left undone. 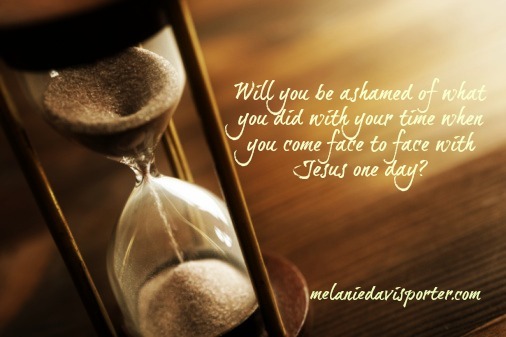 Will you be ashamed of what you did with your time when you come face to face with JESUS one day? Will HE find you faithful? Obedient? Will you have any rewards to lay at HIS feet? I challenge you to spend some time taking inventory of your life…and what you’ve done with it. What is still left for you to do? What activities in your daily 24 hour span…really have value and matter? Be aware my friend…be aware of every minute in your day….and seek to eliminate the clutter. Will that hour long television show or extra round of golf…. really matter when you walk into heaven one day? Living with a sense of urgency….means you don’t waste the time GOD gives you. And don’t miss this beloved…..living with a sense of urgency means you don’t omit the precious moments in life that will never pass your way again…..like the skinned knees, the glorious sunset shared with a friend, the wet, little kisses of little ones, the last dance at the wedding, the smile for a stranger, the wagging tail that greets you with joy….or that precious time in early morn when the FATHER is waiting for you to start your day in HIS presence. Living with urgency means you value the air in your lungs and realize one day it will be gone; therefore, you don’t leave the precious and eternal things….undone. Tell me friend….are you making the most of your time here on earth? See you tomorrow for our final sign! This entry was posted in Aging, Don't waste time, Eternal Rewards, Living fulfilled, Making life count, Rewards In Heaven, Wisdom and tagged Don't waste Time, Eternal rewards, Living fulfilled, Making Life Count, Making Wise Decisions, Rewards in heaven, Wisdom by melanieporter45. Bookmark the permalink. Awesome Mel. Needed reminding. Hugs my friend. Beautiful and timely Mel. Reminding me today to be intentional and use my time wisely. Love you friend.